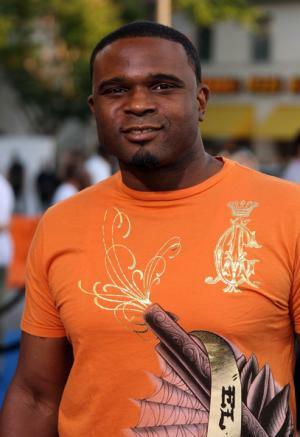 Darius Creston McCrary was born on 1 May 1976, in Walnut, California, USA. He is an actor, singer and voice actor probably still best known for his role as Edward “Eddie” Winslow in the 1989 to 1998 television series “Family Matters”. Aside from this, he’s had other notable roles, for example in his debut film “Big Shots” and the CBS drama “The Young and the Restless”. The various endeavors he’s worked on have helped increase his net worth. How rich is Darius McCrary? As of early-2016, sources inform us of a net worth that is at $500,000, mostly accumulated through a relatively successful career in acting. While most of his work is on television, he’s had roles in big films as well and is even the voice of some popular characters like Jazz in the “Transformers” film. He continues to work, and it’s likely that his wealth will increase as a result. McCrary was born into a very musical oriented family, and during his youth he learned several instruments including the piano, guitar and harmonica. He also learned to sing – his father Howard McCrary was a singer and songwriter. He even started a gospel group with family members during his youth. Darius then began his career as a child actor, appearing first in the 1987 comedy “Big Shots”. The film earned him recognition, and he was soon given opportunities to guest in various television shows. He next appeared in the film “Mississippi Burning”, and eventually landed one of his leading and longest roles in “Family Matters”, over nine years. After “Family Matters” ended, he starred in “Freedom” and “Something to Sing About”. A few of his biggest movies would come from “15 Minutes” alongside Robert de Niro, and “Kingdom Come” with Whoopi Goldberg. Two years after voicing for “Transformers”, he then voiced the character Tarix in “Bionicle: The Legend Reborn”, but continued acting, making an appearance in films like “Saw VI”, “Anger Management”, and shows like “Cold Case”. He later did several stage productions. In late 2009, Darius joined “The Young and the Restless” to portray Malcolm Winters and stayed in the show until late 2011. One of his other appearances has been in the CBS show “I Get That A Lot”, and also in the stage play “In-Laws from Hell”. McCrary has been nominated three times for a Young Artist Award, one nomination was for “Big Shots”, and the two others were for “Mississippi Burning” and “Family Matters”. Aside from film and television, McCrary has also worked as a musician and music producer, working with various artists. He was the co-producer of “Church and Steppin: The Movie”. He also founded a band called the D-List, which consists of other musicians and his brother Donovan McCrary. The group is constantly booked to perform at clubs and other private parties. They were also working on an album. For his personal life, his first marriage to Juliette M. Vann was in 2005 but it only lasted for around a year. His second marriage was to author Karrine Steffans which lasted from 2009 to 2011; the marriage eventually ended with Darius allegedly abusing Steffans. Place Of Birth Walnut, California, U.S.
2 Married his girlfriend Juliette that he knew for only four months in December 2005. She is a Las Vegas showgirl. The couple decided to separate in February 2006. 3 Only likes to eat healthy food. He joked that he only sees in orange because he drinks so much carrot juice. 4 Appeared in the 2003 Alayé calendar. 5 Is also a songwriter and a music producer. Something to Sing About 2000 TV Movie performer: "Blessed Assurance", "We're Marching to Zion", "Take My Hand, Precious Lord", "His Eye is on the Sparrow", "Move Mountain"